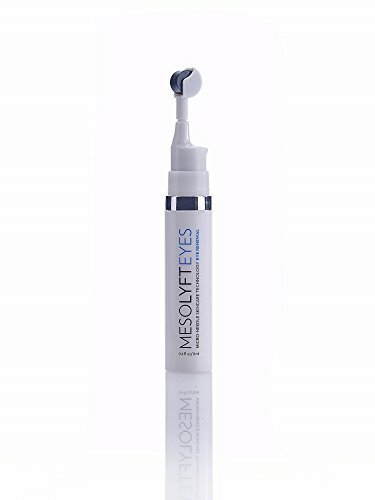 MesoLyft eye renewal respects the delicate tissue around your eyes, often the first place to show signs of aging, by restoring its youthful texture and beauty. Ingredients – 1. Argireline: A wrinkle-relaxing peptide that works instantly with a Botox-like effect. 2. VoluPlus: With an active ingredient derived from nutmeg, this patented formula works to plump cells for smoother skin. 3. Retinol and vitamin C: A dynamic duo that stimulates new collagen production for long-lasting improvement in skin texture. 4. Ginkgo biloba extract: Taken from one of the oldest tree species, this Chinese extract offers a soothing, anti-inflammatory touch and protects against free radicals. Usage: Fine lines around the eyes appear to decrease instantly, while continued use improves skin texture on a more lasting level. If you have any questions about this product by MesoLyft, contact us by completing and submitting the form below. If you are looking for a specif part number, please include it with your message. Les Visages Jade Face Roller Massager, Double-sided, 100% Natural Jade, Durable Quality-Eliminates Wrinkles, Puffiness, Dark Under Circles-Promotes Firm, Healthy, Youthful, Radiant Skin.